Please note: CMS integration with Word may not work properly when using versions prior to Word 2016. 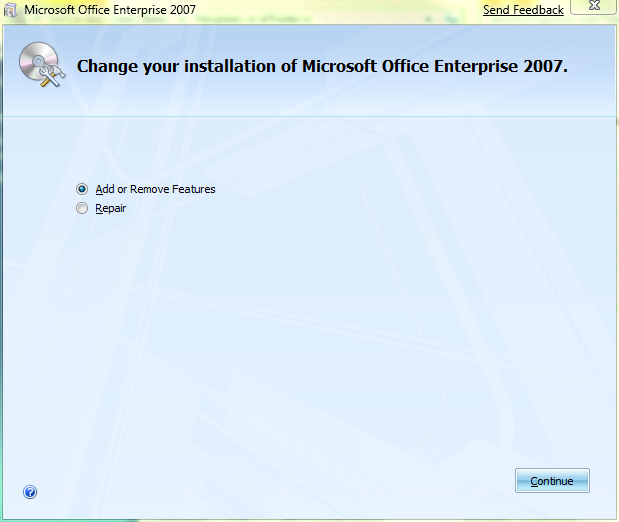 Follow these steps to remove Access 2007, 2010 or 2013 without removing Office entirely. 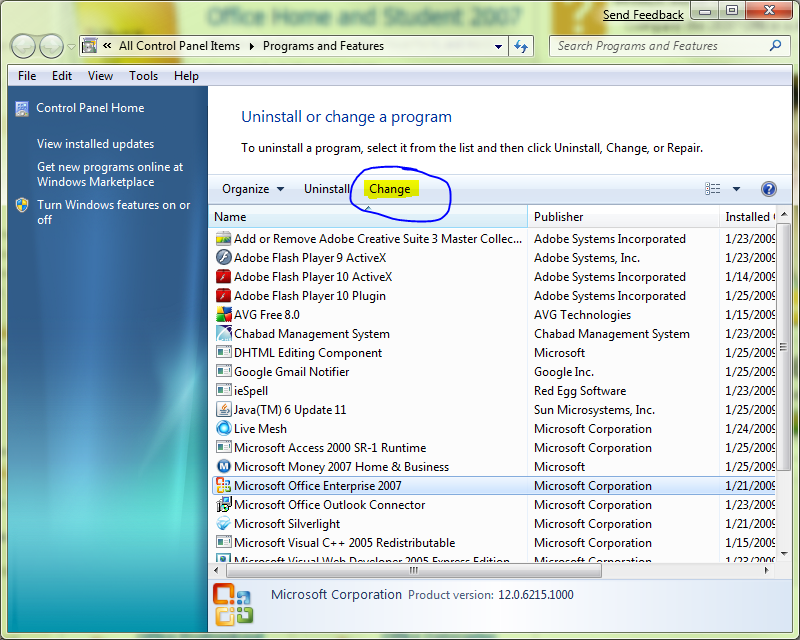 Click the 'Change' button and it will load up the install dialog window. Select 'Add or Remove Features'. 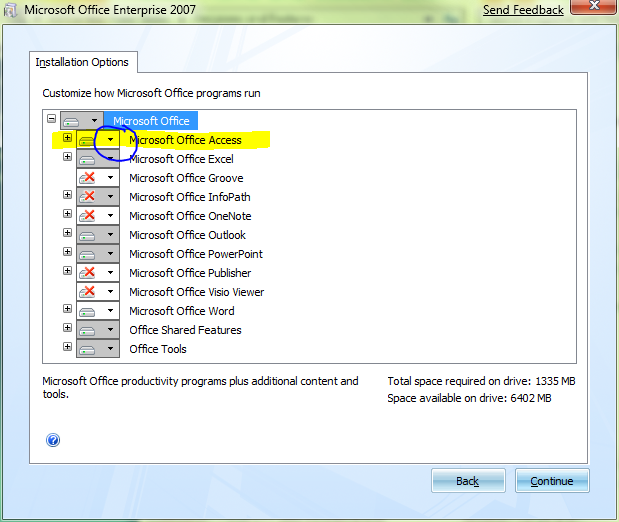 Hit the drop-down arrow next to Microsoft Office Access and choose 'Not Available'. Then hit 'Continue' and go on through the wizard. Please note: the screenshots were taken in Windows Vista and Office 2007 and may vary if you're using a different operating system (Windows 7, 8, 10) or different version of Office. Same with the exact step by step instructions. The concepts, however, are the same.